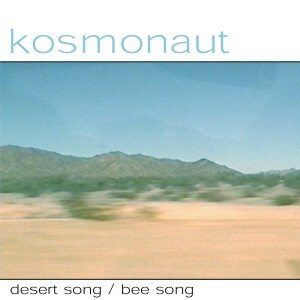 Kosmonaut - Desert Song 7"
Debut Matinée single from a relatively new English band featuring Stephen Maughan (ex-Bulldozer Crash and creator of the legendary This Almighty Pop! fanzine) and Geoff Suggett (ex-Lavender Faction). Following previous releases on the esteemed Motorway (Japan) and Firestation Tower (Germany) record labels, Kosmonaut mark their debut US release with great new tracks "Desert Song" and "Bee Song" on opposite sides of a beautiful 45 rpm slab of vinyl. With superb melodies, vocals reminiscent of early Creation Records bands, and a harmonious arrangement, these multi-layered guitar pop gems are a soothing tonic. Limited to 1000 copies.